Where to Buy Dipel Dust, Dipel Dust BT Kills Worms - 4 lb - $10.95 for Sale with Fast Free Shipping! 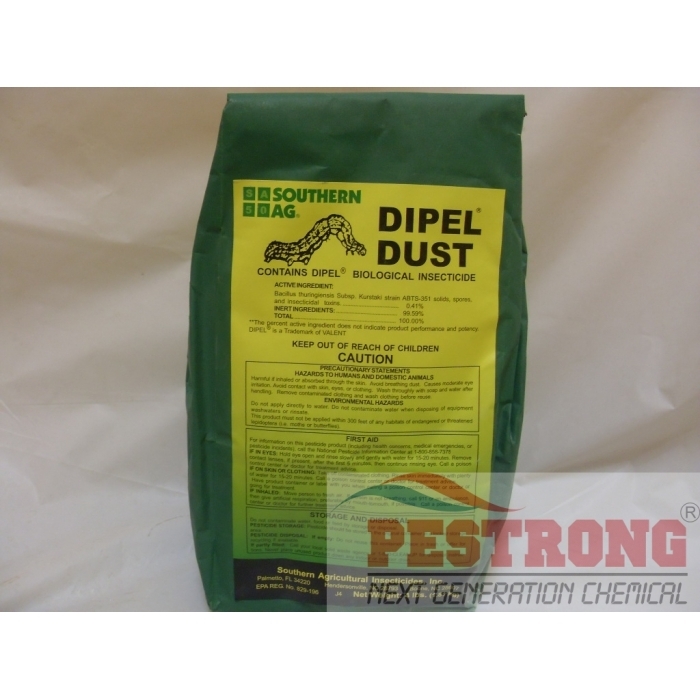 Dipel Dust BT Kills Worms - 4 lb is Bacillus Thuringiensis, known as BT,(bacillus thuringencis) a bacteria that kills worms and caterpillars. It contains the same ingredient as the liquid product we carry, Thuricide, available. Each BT strain infects a relatively narrow range of species. Studies have shown that predatory insects, such as lady beetles, are not at risk if they eat an insect that has been infected with BT. BT does not infect earthworms, nor does it kill honeybees or many other species of insects. BT is an excellent choice for control of many pest caterpillars because it does not harm predatory insects, birds, snakes and other animals that keep pest numbers low in the yard and garden. USE ON: Broccoli, Cabbage, Cauliflower, Celery, Collards, Cucumber, Kale, Lettuce, Greens, Tomatoes, Turnips, Tobacco and Melons. APPLICATION: For home garden use, dust plants thoroughly. Can be used up until the day of harvest. If you want to concentrate, use thuricide or dipel pro df. Works great in my garden. Will order more in the future! Thank you Pestrong! and my friend used it too and it worked great as well. Dipel BT are my favorite garden solution.